The trailer (watch it below) for the movie premiered Wednesday, confirming the big cast of A-list actors including Bruce Willis and “Cruel Intentions” star Ryan Phillippe. A group of friends get caught up in a diamond heist. 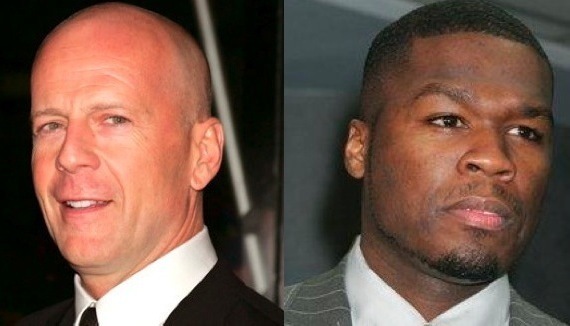 Willis, who plays the “bad-guy,” hires the duo (50 and Phillippe) to help him rob a bank. Things get a little sticky from there. Like we said before, 50 is on a roll. Earlier this month he also premiered another trailer for his long anticipated drama “Things Fall Apart,” the movie in which he sacrificially shed a deathly 54 pounds.